Doors aren’t necessarily the most interesting things to think about, but the people who have designed these ten unusual ones clearly think they’re something to be celebrated. 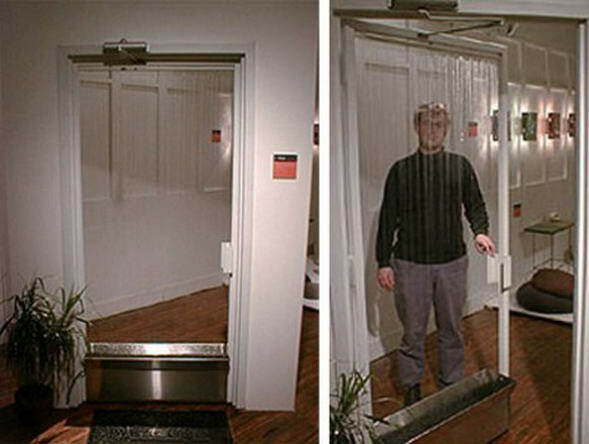 Check out 10 Most Unusual Door Designs by various designers. One of the strangest door designs you’re ever likely to see, this system creates a perpetual waterfall in the doorway, with a basin at the bottom. 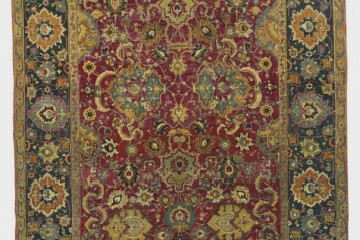 We’re not quite sure what purpose the whole thing serves, but it certainly looks interesting. If you’re forever forgetting things as you walk out of the door, then this is the thing for you. 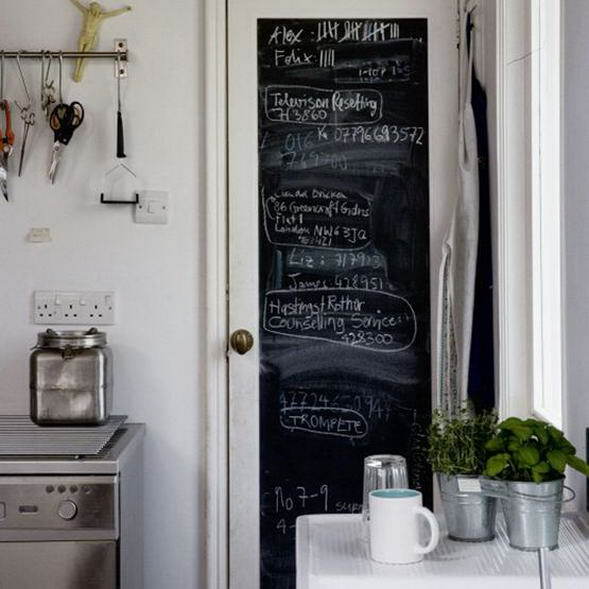 You can actually buy chalkboard paint and do this one yourself quite easily if you can find a completely flat door to work on. It looks like something out of Star Trek, but we can assure you it isn’t. 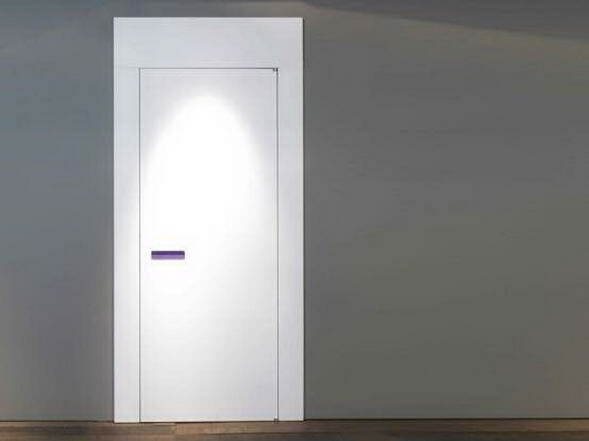 This door senses your body shape, and the panels open to accommodate your exact size. Gimmicky but really very cool indeed. We’re not sure what would happen if you tried to walk through quickly though. 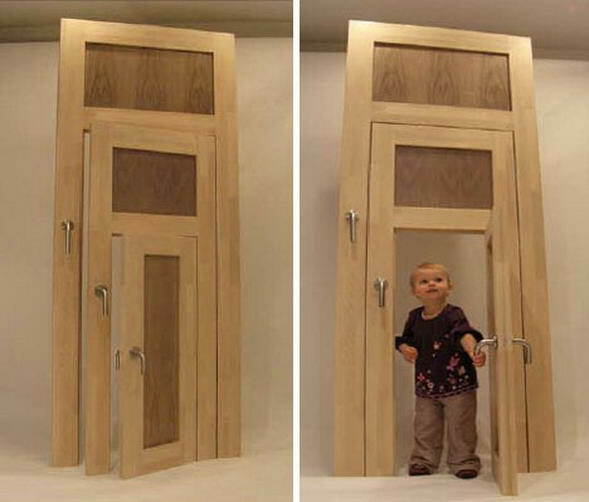 If you’ve got small children, then this is the door for them. With a little door built into the main one, they can open and close it easily, without having to reach up for the handle. It could also be used if your pets are clever enough to use handles. Everyone loves a hidden door, and this is one of the most interesting. 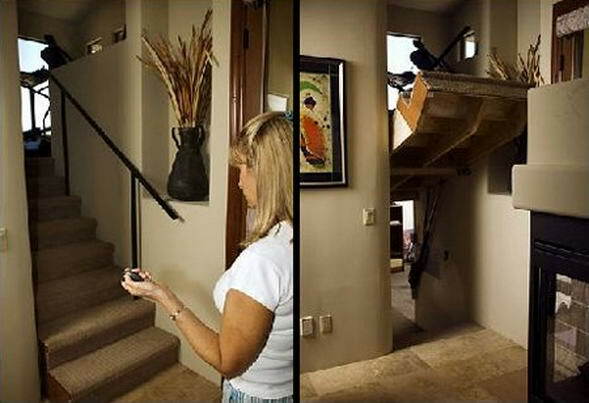 Press a button and a sliding door gear allows the entire staircase to slide and rotate to reveal a passageway downstairs. Ideal if you want a private little hideaway. We’re not quite sure how this door opens, but we’re betting it has something to do with the ominous purple bar. Perhaps you put your hand in it? 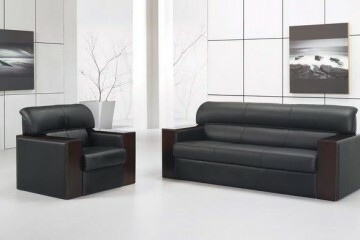 The modern and futuristic look is great either way. Don’t have space for a ping pong table, but love playing with you friends? 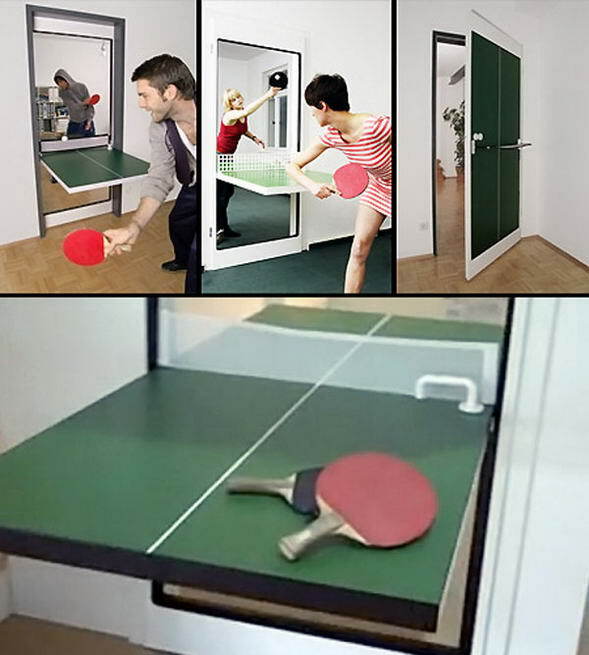 The ping pong door is the solution for you. As well as opening normally, it also flips down to reveal a fully useable table. 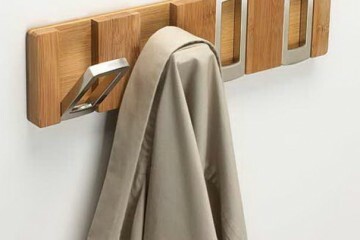 Practical and very cool. 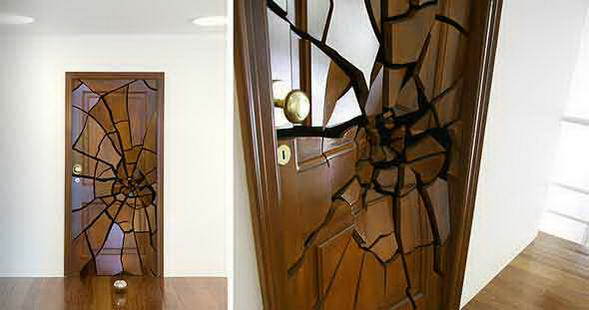 Designed to look as though it’s been assaulted with a battering ram, the shattering door gives a really cool look. It’s actually textured too, and would make a great talking point. We can see this being installed in many locations. 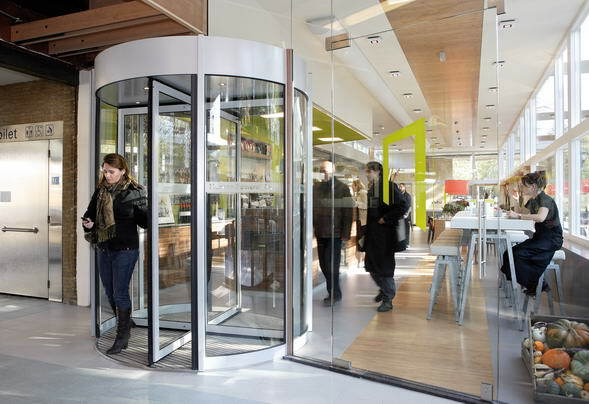 Instead of turning by itself, this revolving door harnesses the power of those who push it. 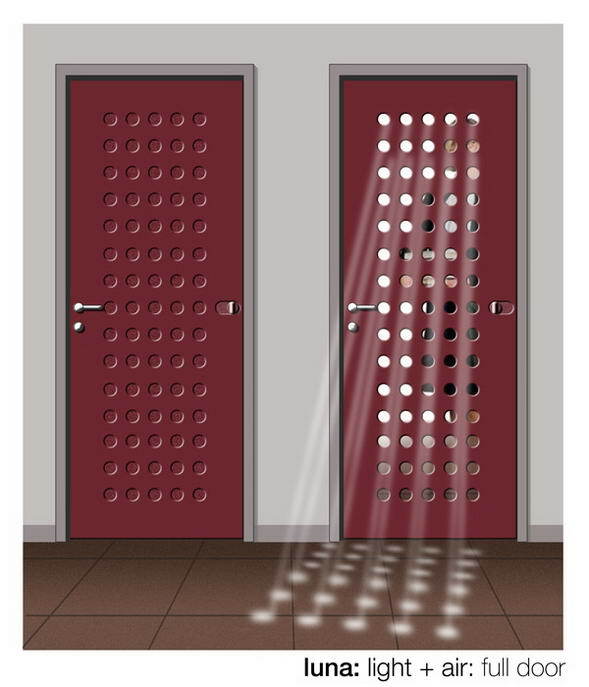 It’s the door equivalent of a generator, and could take off rapidly. The holes on this door can be opened and closed, which allows you to control the amount of light, sound and air that travels between rooms. It could be a really practical idea, and it looks really good too. These are sweet! My husband and I have been talking about getting wood doors in Toronto. I should tell him I want that shattered one. Haha..